The Thanksgiving season is the perfect time for teaching kids the virtue of being thankful. Having a thankful heart can be expressed through actions, words, or thoughts. Sharing our gratitude with others not only brightens their day, but also helps instill in us at attitude of gratitude. Kids are never too young to learn about being thankful! Writing Thank You notes is a lost art. Teach kid how to craft the perfect Thank You note whenever they receive a gift or attend a field trip. Even pre-writers can get into the habit of expressing gratitude with an older sibling or parent to help them. They can draw pictures and dictate as you serve as their scribe. 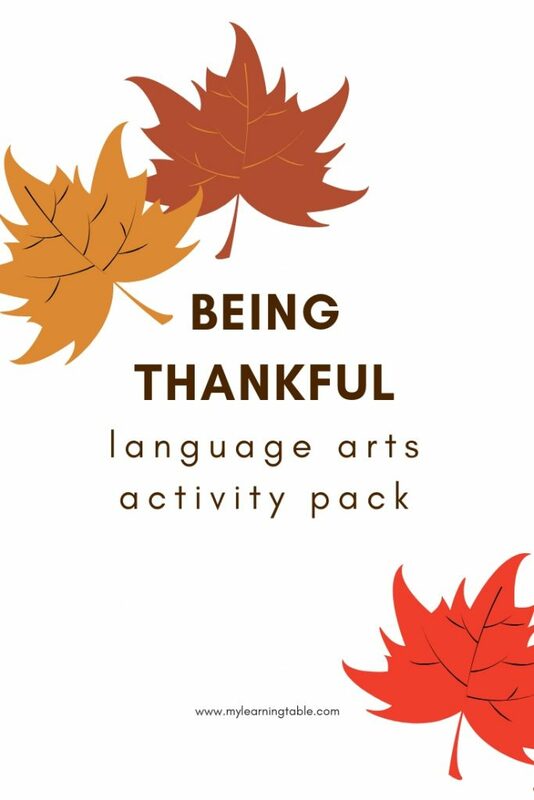 There are a few things you’ll want to include in your note, so be sure to check out the note writing activity in the Being Thankful printable. Around Thanksgiving, as families gather from far and near, you can learn a lot about your family history by interviewing family members. Our list of family interview prompts are wonderful conversation starters, and this activity may turn into a genealogical unit study. Be sure to print out the interview pages and prep kids to talk to relatives during this season of thankfulness. Show grandparents and other family members how much they are appreciated by learning a little more about them. Did you know that a letter to the president is what made Thanksgiving a national holiday? Learn more about the woman who started it all, and write your own persuasive letter. This is a wonderful skill to have and will carry over to academic essay writing. A huge YES to thank you notes. I see this practice as being foundational to gratitude and formative for kids (and their parents!) on so many levels! Yes! It is becoming a lost art, but it is so important!